his amusing anecdote was sent to me by Travis this morning. 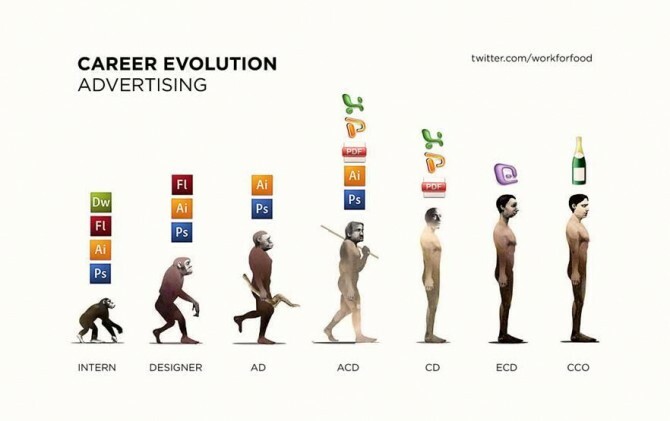 Visually depicting the Career Evolution within your atypical ad agency, it offers a visual contrast to my commentry about Digital Agency Structure a couple of weeks back. Diego Zambrano works for R/GA in New York.